If you are a reptile enthusiast, then having a Red Ear Slider as a pet is just the right thing for you. 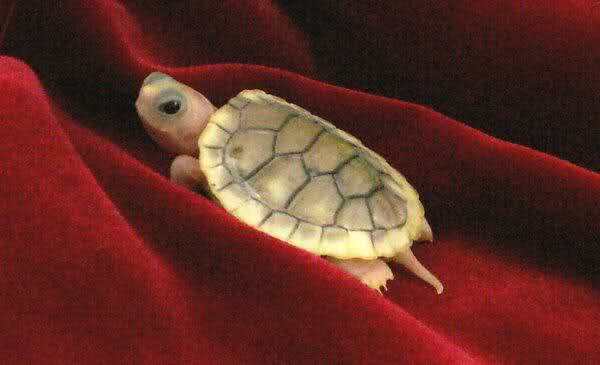 These are moderately sized turtle species which are easy to keep and breed. You first need to educate yourself regarding the mating season, as you will be left disappointed if you try to get your turtles to mate in off seasons. This species of turtles mostly mates in the cooler months like January and February. This gives the babies the best odds for survival after hatching in the summer season. You will observe that during the mating season, the male turtles will claw around the female's head to judge her receptiveness. If willing, she will allow him to mount her, but if she is not willing, she will become hostile and you would need to step in and separate them in order to prevent injury. Once the female has responded to the advances of the male, you need to prepare the mating tank. The 30-gallon tank should be filled with six inches of clean water. The temperature of the water should be moderate. You have to be very careful here as not to fill the tank too much which would drown the female. At the same time, the water should be deep enough to allow the male to mount the female. You need to be patient now, as mating takes approximately 15 minutes, so stay back and let your turtles mate undisturbed. After the mating, put the turtles back in their normal enclosures. You need to keep them apart during gestation. The female usually carries the eggs for nearly 60 days. Looking for a place to lay her eggs, the female will spend more time on land during the last few weeks of her pregnancy. It is then time for you to move your female to a nesting tank. You will have to fill a 20-gallon tank with potting soil as a nesting tank where the female will lay her eggs. Once the female has laid all her eggs, you need to clip a heat lamp to the tank, directing the heat towards the nest in order to maintain a steady temperature of 85 degrees Fahrenheit. Red Ear Slider eggs need 80 days to hatch after they are laid. So it is best that you keep an eye on the eggs for any signs of hatching. It is imperative not to disturb the eggs so place them in quiet surroundings.